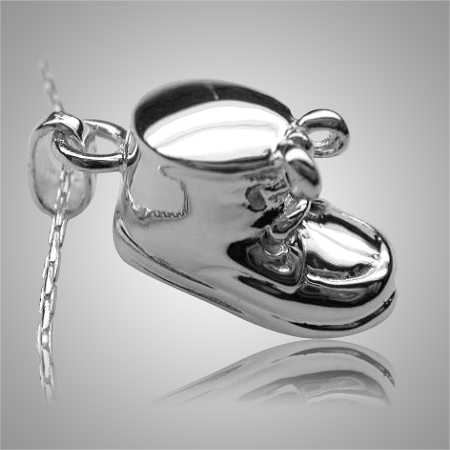 The Baby Booty Keepsake Jewelry is sterling silver and crafted by an artistic skilled jeweler one at a time. The quality is excellent and the craftsmanship is outstanding. 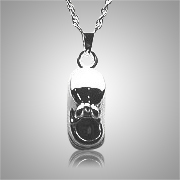 This Keepsake Pendant holds a small amount of remains, a piece of hair or something that is small enough to memorialize your loved one and bring them close to your heart. "We were very pleased with the excellent craftsmanship of this beautiful urn. We highly recommended this company to other people looking for urns. This company had exactly what we were looking for. The customer service was very kind and polite. Thank you for your great service."